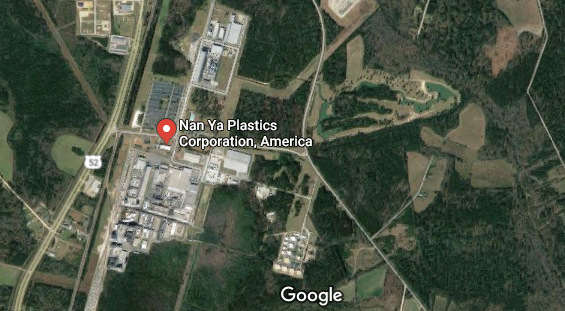 Nan Ya Plastics Corporation, America formerly a division of Formosa Plastics, is a global supplier of polyester polymer. The South Carolina plant is the largest among its North American production facilities. Located just outside of Lake City, South Carolina, they produce polyester filament, fiber, and chip (resin) through several fully automated processes. Production lines run 24 hours a day and produce approximately two billion pounds of polyester polymer each year. Highly dedicated to producing high quality products and services to their customers, Nan Ya Plastics Lake City is ISO9001:2008 certified for all products. Nan Ya had been using the same Yokogawa DCS system since the plant opened in the 1990s without a single unplanned shutdown. Nan Ya wanted to upgrade their Micro-XL DCS system in order to benefit from the latest technology in addition to reducing the footprint of the hardware. The primary concerns that had been delaying an upgrade were cost outlay and down-time. 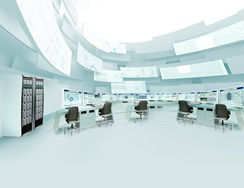 To help customers like Nan Ya, Yokogawa has invested heavily in the research and development of CENTUM DCS in order to devise a step-by-step approach that keeps downtime to a minimum. Yokogawa developed a solution with Nan Ya to replace their old operator stations with new HMIs first and then replace the hardware. Older controllers in the field were also replaced. Nan Ya scheduled a week long outage, but the Yokogawa step-by-step upgrade solution was completed in one and a half days. Due to the user-friendly interface of the CENTUM VP HMI stations, operators were able to work more efficiently, make changes more swiftly and see more accurate graphics. The installation of a large flat screen display allowed for improved process monitoring because all of the production line’s most critical quality control points can now be viewed without changing screens. The new system allowed for greater visibility into various aspects of Nan Ya’s processes, allowing for faster and deeper analysis. More measurements could be tracked, allowing analysis of trends and greater access to the information needed to make impactful decisions. The improvement in process data access and reporting capabilities also enabled improved process analysis by operators and plant management. Knowing that CENTUM VP is "future-proof," allows plant management to engage in longer view planning cycles and ensure greater sustainability. Nan Ya Plastics Corporation, America was very pleased with Yokogawa’s project execution, especially with the reduction in down time. "Yokogawa’s project organization, acceptance testing procedures, and attention to every detail resulted in a seamless migration from a Micro-XL system to the new CENTUM VP. Yokogawa was able to meet a challenging production schedule to complete this project with no negative impact to our plant."